Cinco de Puppo 5K Run/Walk! Charlotte’s Country 1037, Kiss 95.1, Power 98-FM, K104.7 and V 101.9 have partnered with Corona Premier, Social Pet Hotel & Daycare and Modern Pet Salon to celebrate Cinco de Puppo 5K Run/Walk with local family dogs and their owners. 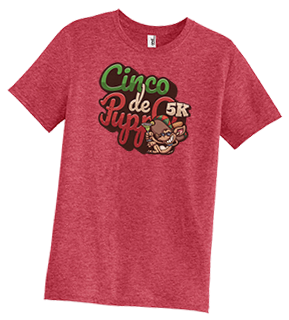 The Cinco de Puppo 5K Run/Walk will feature local food trucks, beverages (including mutt-garitas and doggie daiquiris), doggie-licious biscuits, and paw-ty cake samples in the Dog Bar area, as well as vendor booths and entertainment from all of the Beasley Media Group Radio Stations.